a) Plant Operator - i)HSC (10+2) or ISC (with Science subjects) with not less than 50% marks in Science and Mathematics individually. Shall have English as one of the Subjects at least at SSC level Examination. b) Electrician, Electronic Mechanic, Instrument Mechanic, Fitter, Turner, Machinist, Welder, Draughtsman (Mechanical) - SSC (10 years) with minimum 50% marks in Science subjects and Mathematics individually and 2 years ITI Certificate Course in Electrician/Electronic Mechanic/ Instrument Mechanic/ Fitter/ Turner/ Machinist/ Welder/ Draughtsman (Mechanical) /Plumber Trade. For trades for which the duration of the ITI course is less than 2 years, the candidates shall have at least one year relevant working experience after completion of the course. Shall have English as one of the subjects at least at SSC level Examination. i) Pass in SSC with Science and Mathematics and 2 years ITI Certificate Course in Electrician/Electronic Mechanic/ Instrument Mechanic/ Fitter/ Turner/ Machinist/ Welder/ Draughtsman (Mechanical)/Plumber Trade. 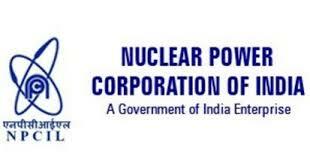 Note: It may be noted that relaxation in percentage of marks in qualification to the PAPs whose land has been acquired for Kudankulam Nuclear Power Project(KKNPP) can be extended based on the employment certificate issued by District Authorities subject to the condition that only one person per family of PAPs whose land has been acquired for KKNPP can be considered for employment. a) Mechanical Engineering - Diploma with not less than 60% marks in Mechanical Engineering recognized by the Government of India, Ministry of Human Resource Development. b) Electrical Engineering - Diploma with not less than 60% marks in Electrical, Electrical & Electronics Engineering recognized by the Government of India, Ministry of Human Resource Development. c) Chemical Engineering - Diploma with not less than 60% marks in Chemical Engineering recognized by the Government of India, Ministry of Human Resource Development. e) Instrumentation Engineering - Diploma with not less than 60% marks in Instrumentation, Electronics & Instrumentation and Instrumentation & Control Engineering recognized by the Government of India, Ministry of Human Resource Development. f) Computer Science - Diploma with not less than 60% marks Computer Science, Computer Engineering and IT recognized by the Government of India, Ministry of Human Resource Development. The Diploma in Engineering should be of three years duration after SSC/HSC. h) B.Sc. Physics - B.Sc. with a minimum of 60% marks. B.Sc. shall be with Physics as Principal and chemistry/mathematics/Statistics/El ectronics & Computer Science as subsidiary OR with Physics, Chemistry and Mathematics as subjects with equal weightage. b) B.Sc. Chemistry - B.Sc. with a minimum of 60% marks. B.Sc. shall be with Chemistry as Principal and Physics/ Mathematics/Statistics/Electronics & Computer Science as subsidiary OR with Physics, Chemistry and Mathematics as subjects with equal weightage. Mathematics at H.Sc. (10+2) level is essential. Candidate having Mathematics as the principal subject at B.Sc. are not eligible. Shall have English as one of the subjects either at SSC or HSC level examination. 5. The application should be submitted in the proforma attached to this advertisement. The application form along with copies of certificates should not be folded and posted in an A4 size envelope (size 35cm X 26cm). The outer cover should be superscripted ‘APPLICATION FOR THE POST OF _______________________ indicating the post/category/discipline. as the case may be, against ADVERTISEMENT NO.01/KKNPP/HRM/2018. 2. Photograph: Recent passport size photograph should be affixed on application form. 3. Copy of Bank Pass Book or Wage slip supporting the experience. Note: It is the sole responsibility of the applicant to produce the Experience Certificate duly endorsed, as above. 6. Those who are working in the Central Government/State Government/PSUs/ Autonomous Bodies should submit their applications through proper channel or NOC to be enclosed along with application. Advance copy may also be sent. However, the advance copy will be considered for candidature only on receipt of application through proper channel. 7. Duly signed and completed application in all respects may be sent to Manager (HRM), HR Section, Kudankulam Nuclear Power Project, Kudankulam PO, Radhapuram Taluk, Tirunelveli District, Tamilnadu – 627 106, by Post/Courier only so as to reach us on or before 21.05.2018.